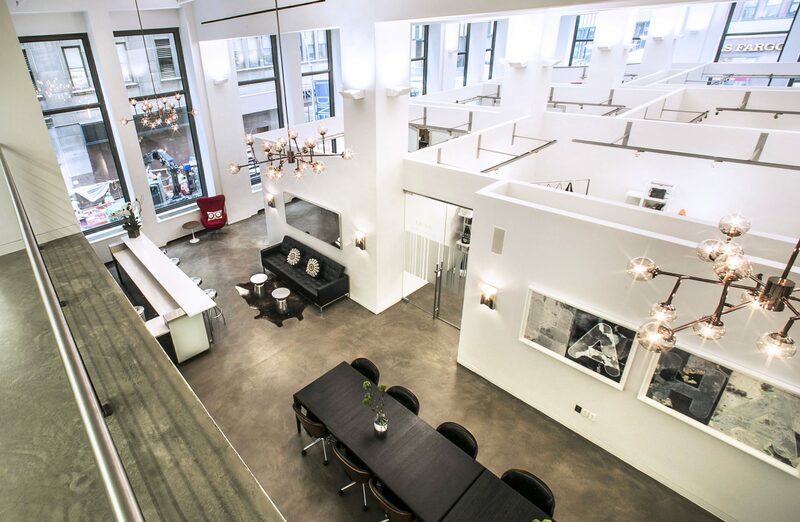 Two companies committed to Space 530, the full-service private office space and co-working environment at Savitt Partners 530 Seventh Avenue. Over the past few years, Space 530 has become a hub for new and expanding technology, creative and fashion tenants. Tunity, a technology and analytics company which created the first application of its kind that allows users to hear live audio from muted televisions directly on their mobile devices, will house its headquarters at Space 530. Centri Business Consulting, a finance and consulting services firm, has also committed to Space 530 and will house a New York City hub location at the site. The company also has offices in Philadelphia, PA and Englewood, CO.
Space 530 is located on the mezzanine floor of 530 Seventh Avenue, a 490,000 s/f Art-Deco building in Midtown Manhattan. The building is Wired Certified Platinum. A Wired Certified building offers tenants choice of multiple high-speed broadband providers and features an innovative and cutting-edge telecommunications system.